This year's winner of the Supermarket of the Year went to Tesco, with the runner-up being M&S. We’re sure eyebrow s will be raised at this award to the colossus of British retailing. But there was more than enough evidence of Tesco’s serious commitment to wine for us to vote unanimously. This was a strong shortlist. M&S is a fine runner-up, Morrisons has shown real innovation, Aldi has upped its game and Waitrose’s list remains unparalleled among the supermarkets. But Tesco’s willingness to spread the word of wine appreciation was a major factor. Witness Tesco’s Wine Fairs, with more than 11,000 attendees at events from Edinburgh to Bristol able to taste up to 450 wines and attend masterclasses to inform and educate. The judges were also impressed by Tesco’s one-to-one customer focus: trained wine advisors in larger stores have been supplemented by telephone wine advisors. Tesco has hosted a live, online wine tasting with its Master of Wine, Laura Jewell, and it is embracing social media: a new concept it calls ‘Co-buy’ used Facebook and Twitter to crowd-source a case of wine, its price falling as more and more pledged to buy. In terms of the wine offering, there has been a push in the £12 to £15 price bracket, with the generally excellent Finest* range expanding by another 30 wines this year. We suspect the hand of wine director Dan Jago (ex-Bibendum Wines) in an offer of 2009 Bordeaux in six-packs. There are aspects of Tesco’s operation that the judges felt could be improved – specifically we felt it should cut down on discounting (though Tesco is hardly alone in that). Given its almost 2,500 branches, Tesco is undeniably a major influence on the UK’s wine drinking. Nevertheless, there is cause for celebration that its wine offering is increasingly refined and is being promoted with real gusto. 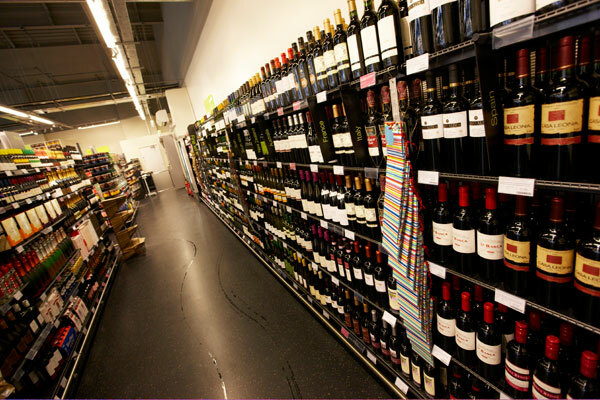 Marks & Spencer is also a force on the UK high street, with a wine department in 730 of its stores. Sometimes accused of being staid, it was the diversity of its offering that most impressed the judges. One hundred new lines have been introduced, including wines from Turkey, Greece, Croatia, Macedonia, Georgia, India and Brazil. There have also been some interesting areas of focus: what other multiple grocer could put Italy in the spotlight with indigenous varieties from Frappato to Zibibbo, and pride of place given to wines from the slopes of Mount Etna in Sicily? We applaud M&S’ commitment to winemaking – most of its wines are blended specifically for the chain – and we love the fact that 300 in-store wine advisors have been issued with iPads, meaning they can sell you any wine by the case via the website, regardless of the wine range in that store.